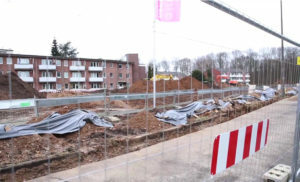 Over the last weeks, our German member Diakonie Michaelshoven has started a new construction project called “Integratives Wohnen” aimed at building new apartments for social inclusion of elders and people in need in Cologne-Rodenkirchen, Germany. The building works started few weeks ago, and the completion of the four buildings, which will include over 100 apartments, is scheduled for September 2019. As explained by Diakonie Michaelshoven Commercial Director Uwe Ufer, the apartments will host elderly people and also younger people in need. Since the buildings currently in use are 60 years old, a new space was needed, and Diakonie Michaelshoven decided to allocate considerable resources as an investment for the future in order to ensure its commitment towards social inclusion for the next decades. To know more about this social inclusion project, please read the news on Diakonie Michaelshoven website.